Unless you’ve been living under a rock recently, you’ll have heard all about the drama surrounding Facebook and Cambridge Analytica, and the resulting fervor. A growing number of people are calling for a mass exodus of Facebook, using the hashtag #DeleteFacebook. But should you really delete Facebook? Facebook has grown into a behemoth of a social network that includes almost everyone you know. It’s how family, friends, and work colleagues stay in touch. It’s how families communicate and friendships flourish. Facebook is a core part of our society, and shows no sign of disappearing anytime soon. So should you delete Facebook in protest? In this article, we’ll explore seven reasons not to delete Facebook. Because it turns out it’s insanely useful. The Cambridge Analytica scandal Facebook Addresses the Cambridge Analytica Scandal Facebook Addresses the Cambridge Analytica Scandal Facebook has been embroiled in what has come to be known as the Cambridge Analytica scandal. After staying silent for a few days, Mark Zuckerberg has now addressed the issues raised. Read More is a bit of a mess. A Cambridge University researcher created a personality quiz app for Facebook. Hundreds of thousands of people took the quiz, and because of the way Facebook worked at the time, millions of their friends also had their data collected. The researcher, Aleksandr Kogan, then sold this data to Cambridge Analytica, a company specializing in data mining. Cambridge Analytica then sold that data, allowing political parties to target people during the 2016 U.S. presidential election. Facebook has since tightened the rules on how apps collect data on users and their friends, but the damage has already been done. And people are outraged, leading to some deleting their Facebook accounts. The outcry isn’t just about the Cambridge Analytica situation. 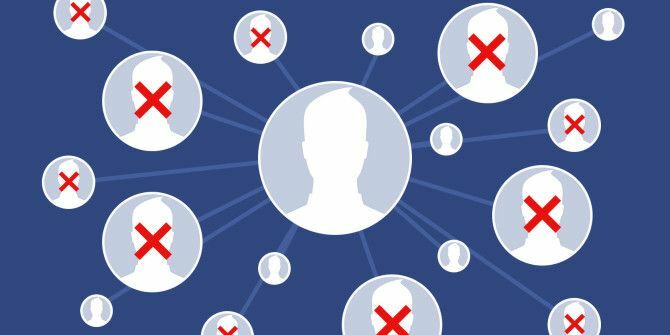 It’s a symptom of public angst surrounding nonstop news that our social networks are spying on us Facebook Privacy: 25 Things The Social Network Knows About You Facebook Privacy: 25 Things The Social Network Knows About You Facebook knows a surprising amount about us – information we willingly volunteer. From that information you can be slotted into a demographic, your "likes" recorded and relationships monitored. Here are 25 things Facebook knows about... Read More . Which led one of our writers to recommend you stop using Facebook Why You Should Stop Using Facebook in 2018 Why You Should Stop Using Facebook in 2018 Times have changed, and it might be time for us to stop using Facebook. Here are five reasons why. Read More . Should you #DeleteFacebook? I don’t think so. With the Cambridge Analytica scandal behind us, we all have access to a long list of Facebook settings that let you set your Facebook privacy to a high level Facebook Privacy Tip: How to Limit Your Data Being Shared With Third Parties Facebook Privacy Tip: How to Limit Your Data Being Shared With Third Parties You should tweak these Facebook privacy settings to prevent your data from unknowingly being shared by friends to third-party harvesters. Read More . The disadvantages of deleting your Facebook account are far more numerous than the advantages. So, let’s explore the reasons why you should ignore the calls to delete Facebook. The reality is that Facebook is one of the main reasons families are more in touch now than ever before. This is especially true for adults who grew up in a world without the internet and without social media. According to the Pew Research Institute, a quarter of all adults surveyed reported that they feel the internet and cellphones contribute to closer family relationships than they had when they were growing up. Many families frequently use both Facebook and Messenger to stay in regular contact. It wasn’t too long ago when an occasional phone call was the only way to keep in touch with distant family and friends. Today, thanks to Facebook, contact and updates are so frequent that it’s like we still live next door to one another. These close family relationships would never be possible if it weren’t for you keeping and updating your Facebook profile. Your family and friends depend on it to feel like they’re still close to you, no matter how far away you may be. It may be true that teenagers are mostly giving up Facebook and going to Instagram and Snapchat, but according to Statistica, 16-24 year olds are only 19.8 percent of internet users. A whopping 61 percent of internet users are over 35 and they love keeping in touch with family and friends through Facebook. Losing a job is really difficult. Finding yourself tossed into the whole job-search game unexpectedly can feel overwhelming. It’s true that LinkedIn is helpful for finding jobs 7 Essential LinkedIn Profile Tips for Success in 2018 7 Essential LinkedIn Profile Tips for Success in 2018 Want to improve your search rankings on LinkedIn and get more profile views? These LinkedIn profile tips will give you the boost you need. Read More , but Facebook is an invaluable resource as well. I recently lost an online job, and turned immediately to my trusted Facebook friends for tips and advice on any job leads. I also updated my LinkedIn profile. The response on Facebook was immediate. I had three friends immediately reach out with job openings they had come across in the course of their work with specific clients. This is much more likely to happen if you have a lot of friends on Facebook who work in the same industry or business that you do (which most people do). But in a lot of ways, it’s also more likely to happen on Facebook because so many people there care a lot more about you than the people you’re loosely connected to on LinkedIn. There are also lots of job listings on Facebook Facebook Wants to Help You Find a New Job Facebook Wants to Help You Find a New Job Facebook wants to help you find a new job, turning itself into a viable alternative to LinkedIn in the process. Read More you can browse through. You’ve probably read countless articles and blog posts claiming that Facebook is terrible for your mental health 5 Ways Technology Might Be Feeding Your Depression 5 Ways Technology Might Be Feeding Your Depression Technology can worsen depression. With tech enveloping our lives, we should be more aware of technology's potential impact on us. There are some things you can do to lessen the burden. Read More . Would you be surprised to learn that several early studies actually showed Facebook reduces stress and improves self-esteem? It’s true. Researchers discovered that using Facebook resulted in “high positive valence and high arousal”. Not only does using Facebook help you reduce stress, but it also improves your self-esteem. The volunteers seated at a computer with their Facebook profile were allowed to explore their own profiles. After a few minutes, all volunteers were given self-esteem questionnaire. Researchers found that overall the Facebook users reported more positive self-feedback. Those who had edited their profile had the highest self-esteem. 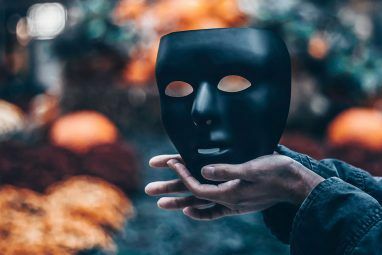 Researchers at Cornell and University of Wisconsin found that Facebook satisfies “users’ need for self-worth and self-integrity,” especially after experiencing a “blow to the ego,” like a failed relationship. Researchers at the Knowledge Media Research Center found that users generally have more positive emotions than negative ones when they browse Facebook. University of San Diego researchers found that people who use Facebook (moderately) live longer than those who don’t. Specific activities like posting pictures and accepting friend requests have the closest ties to lower mortality risk. University of Exeter researchers discovered that use of social media by the elderly improved their mental health and sense of well-being. This isn’t to say that all use of Facebook has positive effects. Other studies have shown that just passively using Facebook and never interacting with people can contribute to a decline in mental health. The bottom line is, if social media is used moderately and used to actively interact with other people you care about, the effects can be positive—and may even help you live longer. One of the hardest parts about maintaining strong relationships these days is how busy everyone seems to be. This is especially true when you’re in a long-term relationship while trying to maintain a career, school, or other things that demand your time. Facebook lets you keep the spark alive in your relationship. It lets you chat instantly during your lunch break, plan meals together before heading home, and keep in close contact whenever you’re on a business trip. It doesn’t take a rocket scientist to figure out why a platform that helps you to communicate more with your significant other will boost that relationship. Technology is a great way to improve your relationship Check Out These 8 Awesome Apps and Gadgets That Will Save Your Long-Distance Relationship Check Out These 8 Awesome Apps and Gadgets That Will Save Your Long-Distance Relationship Long-distance relationships are tough. Creating intimacy hundreds of miles apart is daunting at best. Luckily, we've got some weird and wonderful gadgets to help you bridge that gap. Take a look! Read More , and Facebook is just another tool in that toolbox. Ever since Facebook became so widely used, I’ve personally noticed how often I hear about breaking news on Facebook first. Whether it’s a social crisis, a weather disaster, or a celebrity death, you’re far more likely to discover the news during your next Facebook check. In 2017, the Pew Research Center reported that two-thirds of Americans get their news from social media sources, and Facebook is the leading source of them all. This is a remarkable social shift, and yet another reason why keeping your Facebook account active is good. In a nutshell it’s a great way to keep up with breaking news and staying informed. Whenever you’re going through a tragedy or other difficult time in life, sharing your experience with others is a powerful form of therapy. However, for some people, either the isolation of a disability or living in a remote location makes attending such support groups difficult, if not impossible. 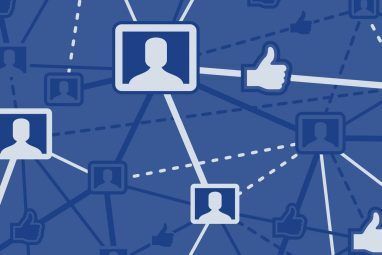 A significant population of support groups has formed on Facebook over the years. On Facebook, you can find large groups filled with people dealing with every stage of life and every issue that life might throw at you. There are groups for depression, grieving, divorce, attending college, getting married, and much more. This goes back to Facebook being a positive influence on mental health, but only if used wisely. Actively interacting with other people, especially when you’re all dealing with common struggles or experiences, will help you feel supported. I’ve seen even the most passive Facebook users come to life whenever their birthday rolls around. If there’s any social network that does birthdays well, it’s Facebook. The social network automatically sends all of your friends a reminder on your birthday. This leads to a total onslaught of well wishes and congratulatory messages from everyone you know. Sometimes your birthday is the only day of the year that you hear from friends you haven’t heard from all year. It’s a tremendous experience to have so many people from your present and past recognize you in a single day. It makes you feel appreciated and loved. It’s often a day when you find yourself clicking on those old friends’ profiles and browsing through their family photographs and daily posts. You have these friends in your life for a reason, and Facebook is often a reminder that they’re important to you. It’s true that some uses of Facebook—debating about sensitive subjects or passively using social media—are not good for you. 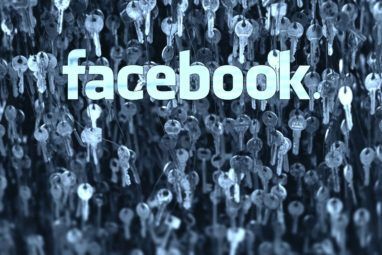 But there are many more ways that Facebook adds enormous value to your daily life, and that’s why you should ignore the #deletefacebook movement, and just carry on using Facebook as often as you want. With that said, it’s always important to make sure your Facebook privacy settings are set properly Facebook Privacy Tip: How to Limit Your Data Being Shared With Third Parties Facebook Privacy Tip: How to Limit Your Data Being Shared With Third Parties You should tweak these Facebook privacy settings to prevent your data from unknowingly being shared by friends to third-party harvesters. Read More . So do that. Now. And then get back to enjoying Facebook for the reasons outlined above. Explore more about: Depression, Facebook, Hashtag, Job Searching. By the way, stop doing damage control for facebook. Facebook didn't pay you for this? Good, all the more reason not to do the said damage control. This is full of horse manure. It implies facebook makes our life better. No it's not. People lived just fine before facebook. In fact all of your points could easily be achieved without facebook. Stop telling people that they need facebook as if it's essential to their life. It's not implying Facebook makes life better. It says it outright, because being able to stay in close touch with distant friends and relatives, and long lost friends, so conveniently and easily, does make life better. It's true email, IM and phone works too, but it isn't as feature-filles ornas convenient. I know it's not popular to say but the fact is Facebook really has made our lives and our relationships with distant friends and family much, much better. That's just the reality. Reality? Come on. You're the one who's out of touch of reality. It's outright irresponsible to tell people to stay in facebook when privacy is major concern right now. Telling people to "set privacy settings properly" is not a solution to facebook problem. Facebook is the root cause for everything bad we are hearing about them now. It's their fault for ticking all the wrong privacy settings when those settings should have been turned off by default. Don't even get me started on facebook being the breeding ground for all kinds of fake news and misinformation. It's famous as a gathering network for anti-science people like the flatearthers, conspiratards, antivaxxers, etc. This is not a social network you'd recommend to anybody. The only recommendation for facebook is to leave it or in the current context, #deletefacebook. No way one cannot be paid to write such untrue and obnoxious blog. It's beyond stupid and out of logic. "Hey so what they sell your data, you need to be loved because nobody loved me outside Facebook". Dude there's whole world out there where Facebook is absolutely a distraction if anything. Again, using Facebook to stay involved and showing your interest in your distant family's lives doesn't mean you aren't loved outside of Facebook. It means you aren't so selfish that you'll ignore your far-away family. Sure, letters work and email works, but it's not as fun. I totally get why some folks feel the need to stop using Facebook. That's ok, that's your choice. No one is calling you stupid for doing so. I'm just providing the many reasons there are to stay on Facebook. If people choose to do so that's okay too, it's their choice. No, people will not only call you stupid if you continue using Facebook, it's beyond stupid. As far as fun way goes, it's several. Use group chat, video calls, etc. There are tons of privacy concerned apps. There's absolutely no need to use of using or advocating Facebook unless you're heavily paid or are not able to grasp concept of privacy. You know what I think? It's that the article feels like it was written for Apr 1st, except that it was published a few days earlier. The author seems to be out of touch of reality. Telling people the good parts of facebook is acceptable, but suggesting that people should ignore the #deletefacebook is stupid. Nobody in their right mind would do that, unless they are facebook shill or stockholder. FaceCrook needs to be abandoned, end of story. FB was built on criminality, exists first and foremost to exploit it's users in various ways (social engineering 101). It's been caught censoring, deem themselves the arbiters of truth and accuracy in news and is far more powerful and dangerous than it's users realize. Surely it is not impossible to come up with something better, minus the complete lack of ethics and deep state ties. Wow! The writer of this piece is as cocky and insensitive as Facebook or Cambridge Analytica are! As the other commenters here called right, this is just unabashedly promotional and some shameless PR talk being dished out here. Learn to respect people's intelligence and their sensitivities before indulging in such third-rate preaching! Didn't expect to see such senseless tripe in MUO...this is a rare piece here I can't "make use of"! how much did facebook pay you? Gee, I wonder how anyone was able to fulfill all these needs before fb was invented. That's like asking how people managed to travel before cars were invented. Of course they did, but it was much less functional and nowhere near as fun. See my other responses. Zero. And no I have no stock or other investments there. I know no one who works there. I have zero to gain and only haters to gain by explaining why Facebook is pretty freaking awesome. Why did I write this article? Because despite the haters, Facebook is still pretty freaking awesome. How much Mark Juckerberg gave you? This is the worst article I have read on MUO. You have that wrong. It is a Facebook scandal. No matter how the media try to spin it, Cambridge was only doing its job. FB is the one that SOLD OUT its users. "1. Facebook Helps You Stay in Touch"
So does a phone, email and snail mail. And the don't record every message and conversation. "2. You Can Land a Job on Facebook"
There are hundreds of job hunting sites. "3. Facebook (Can) Support Your Mental Health"
Facebook can and will sell your mental health records to anybody that pays the fee. "4. Facebook Supports Your Love Life"
"5. Be Informed More Quickly on Facebook"
Yep. Get all the fake news in one place. "6. Facebook Helps You Feel Supported"
So does a jock strap. "7. Facebook Can Make You Feel Loved"
If you need FB to make you feel loved then you are in deep doodoo. No wonder you FB to provide you with #4 and #6. I died laughing at #6. But yeah, what a horseshite article. And no one needs to be told that they need facebook. I think this article is written by Mark Zuckerberg and published on Makeuseof. Only Mark could defend Facebook like the way you do. Add my vote to that...... mind you the article did give me a laugh. What can I say, I love Facebook. I tend not to jump on the same bandwagon as everyone else when things like this happen...so I understand your concerns, I just don't share them. There are many people who do not like the music your band is playing. Can I ask if you are a shareholder in Facebook? Ian - nope. Not that either. Like I said I just enjoy Facebook for all of the reasons listed. My family lives far away from one another and it has been a tremendous boost for us as a family to have Facebook to caht, share photos and events and in general be involved with one anothers lives the best we can from such a distance. I understand the suspicion because apparently it's unpopular to defend Facebook there days but again, it's unfounded. There are a ton of reasons to keep your Facebook account and I'm confident no matter how much some folks want to see it die, I doubt it's going anywhere.